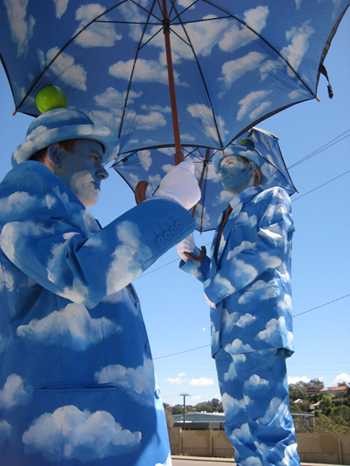 The Cloudmen - "Walks of Art"
Meet the serene and sublime Cloudmen. 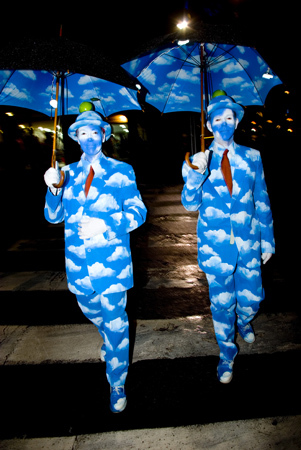 Inspired by the popular Belgian surrealist artist, Rene Magritte. 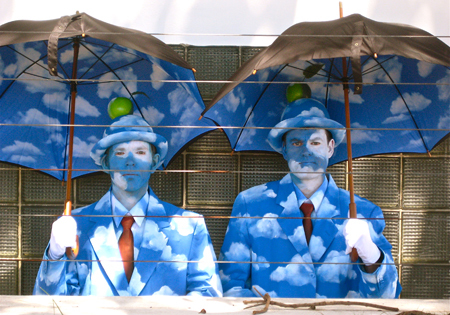 They incorporate the artists signature elements - the businessman, the Umbrella, the Apple and the magnificent blue sky and perfect clouds. They are works of art by themselves. 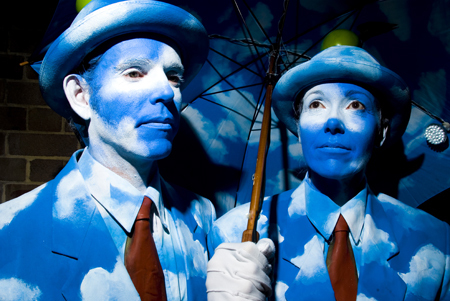 They are already making their mark on the festival and event circuit in Australia and overseas. 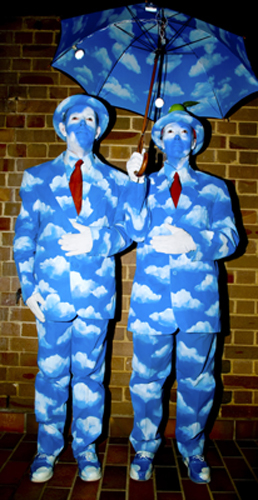 The Cloudmen are ideal at events for Meet and Greet, welcoming guests into a venue, or as roving characters. 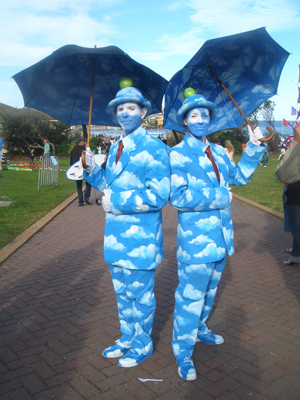 In daylight and under flash conditions the blue is so vibrant it really comes to life and leaps out at you creating that perfect backdrop for those festival photo opportunities. 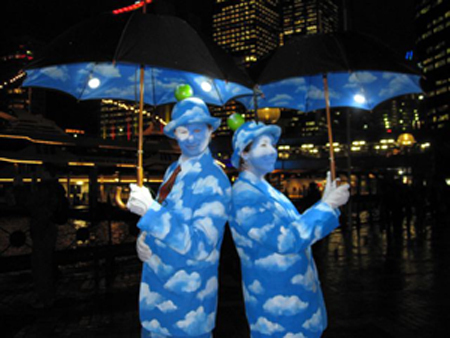 They have also been fitted with LED lights for that etherial touch at those evening events.